So, brown paper. In this age of austerity, I've seen fabulous brown paper items popping up all over the place (a recent magazine article even suggested wallpapering with brown paper, not sure about that myself.) I'm adopting brown paper as my signature wrapping - although not sure if it should be shiny side up or down - what do you think? 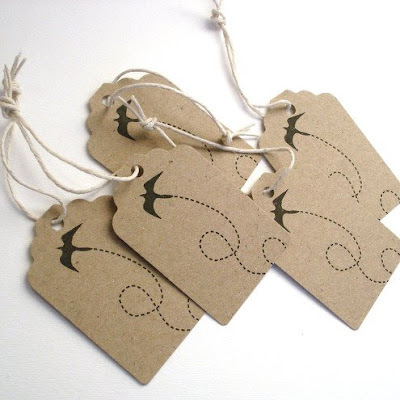 And I have design scouted my own brown paper (or manilla) find; I love these gift tags from Paperleaf's Folksy shop (that's a British version of Etsy, did you know.) They're cheap too - only £1.3o for 5, and they're made from recycled paper - what more could you ask? Now I come to think of it, when I was a child I invented a game called the 'Brown Paper Bag Game' which was featured on a children's TV show called Why Don't You? I wonder if it was the brown paper which appealed to me more than the rules of the game. And then there's the string - but I think that deserves its own post, without the brown paper stealing its limelight. Watch this space. Top image via Simple Lovely. YES to brown paper! 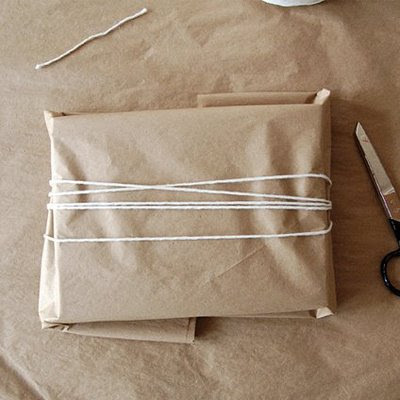 I just bought a HUGE roll of red and white twine, and I'm going to wrap ALL my gifts in brown paper and tie it with the twine. So simple, so clean, and so stylish too! Those gift tags are lovely! I would snap them up immediately. I love using brown paper and tying it up with colored embroidery thread. Have filled me with much inspiration re: christmas wrapping! 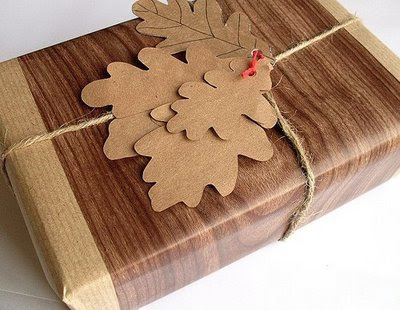 Somehow brown paper is now cool! Shall certainly be following your trend, keep up the great posts.